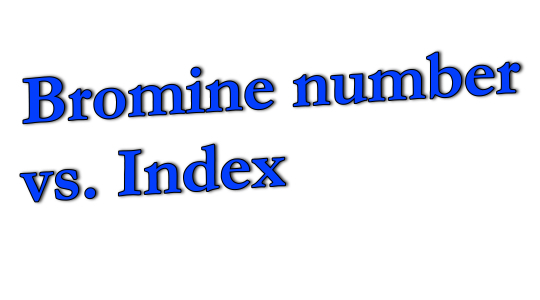 Don’t know whether you need to run a Bromine Number or Bromine Index? Not sure what the difference is between Electrometric or Coulometric? And just how many approved ASTM methods are there, anyway? 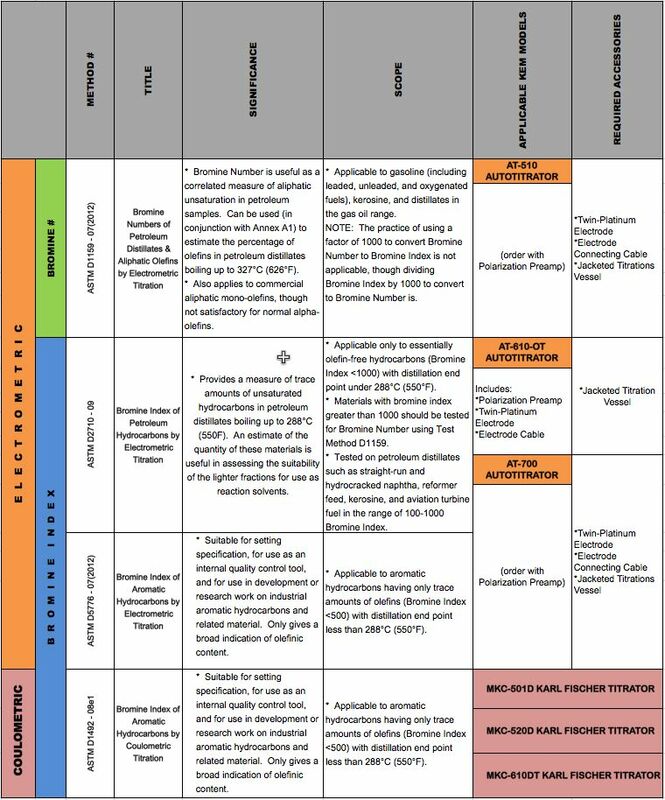 Well, a good place to start is to check out the comparison table below and evaluate your sample(s) with respect to the scope & limits of products listed for each method. If you’re trying to decide which of the last two Bromine Index methods to use, remember that the D1492 Coulometric method is most often employed for materials having very low expected values ( > ~20). Be careful about converting back and forth between the two using that factor of 1000. You can safely convert a Bromine Index to a Bromine Number by dividing it by 1000, but it’s not OK to derive a Bromine Index from a Bromine Number by multiplying the Number by 1000. Need to run Bromine Number or Bromine Index with an AUTOMATIC TITRATOR? Interested in getting more detailed information on how to do Bromine using your KARL FISCHER TITRATOR?